Are you having trouble removing that tough stain? Are you tired of hiding it beneath the rug, or the ottoman? Worry no more. Trust in the professionals, like The Steam Team! The Steam Team is a team of trained professionals who are experts at removing stains, and keep carpet clean, clean, clean. Here are a few spot treating tips that we have to offer; hopefully they help! Before you begin to remove the stain, it’s wise to test your cleaning solution, first! Just in case. Isn’t it always better to be safe, rather than sorry? Use the cleaning agent in an inconspicuous area first, to make sure that no discoloration occurs. Whenever you’re treating a stain, always blot the stain instead of rubbing it. Rubbing the stain may cause it to spread, or more deeply embed itself into your precious carpet! You certainly don’t want that to happen. So blot gently over and over, until the entire stain has been removed. 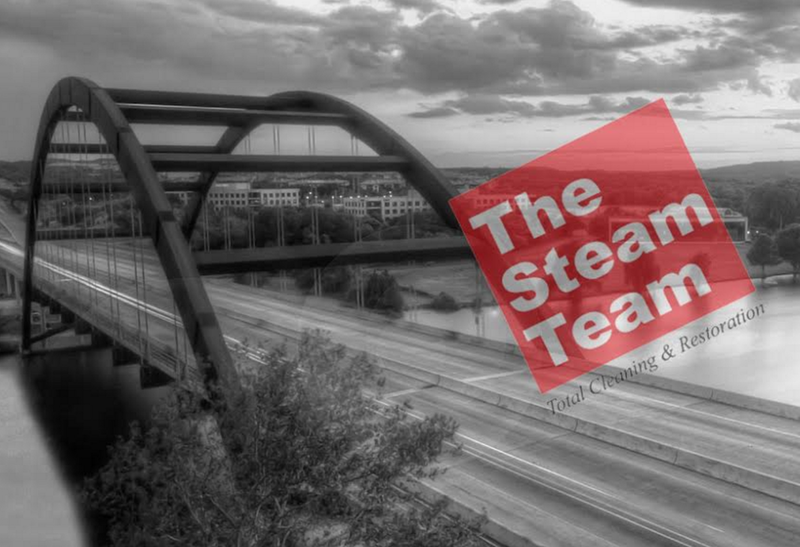 If the stain is just too tough, it’s always best to call in a professional cleaning and restoration company, like The Steam Team. The Steam Team specializes in keep carpets as clean as possible, and restoring homes to their original condition. We can come out, inspect your stained carpeting, and begin to remove it right away. A professional-grade steam cleaner uses nothing but hot water and high water pressure to remove stains from deep within the fibers of carpet! It’s a simple, effortless process. Don’t hesitate to give The Steam Team a call today, especially if you’re battling a tough stain! We have everything we need for the job, including over a decade of experience, expertise, and the professional-grade equipment needed for a thorough cleaning. So give us a call, and you won’t regret it! Why Should You Install Carpet Padding? For homeowners, oldies and newbies alike, it may be difficult to choose which type of carpet padding to install! There are many benefits to carpet padding, such as softness, cushion, and some even hold those pesky rugs in place- but it all depends on the thickness! Below we’ll explain these benefits, and hopefully convince you to install carpet padding beneath your carpet, as it’s so great for your flooring and home in general! Serving Austin, Texas and surrounding areas. Have you ever walked on carpet without padding? Notice the huge difference! With some types of carpet, it almost feels as if you’re just walking on the (concrete) foundation. But carpet padding provides your flooring with an extra layer of comfortable cushion, so your carpet will truly feel softer. You’ll want to walk around on it all day long! Carpet padding absorbs the impact on carpet made by foot traffic, which helps preserve its backing and binding! So yes, carpet padding can actually help your carpet last much longer! At last, no more constant shifting of your area and oriental rugs. It’s very common for them to slip and slide all over the place with foot traffic, and this can actually pose a threat to your family! Imagine yourself slipping and sliding- and falling, sustaining an injury. Thankfully, this worry can be alleviated with the right carpet padding beneath your rugs. And what’s the best part? The Steam Team can help you take care of your carpet! We’re experts at it- we have the experience, the knowledge, and the professional grade equipment to do almost anything with carpet, whether that be cleaning, care, or installation. Just give us a call ASAP and we’ll be out ASAP! Call 512-451-8326 today!